This little brown job (LBJ) is a juvenile White-crowned Sparrow. This entry was posted on 2015/10/09 by Robin. 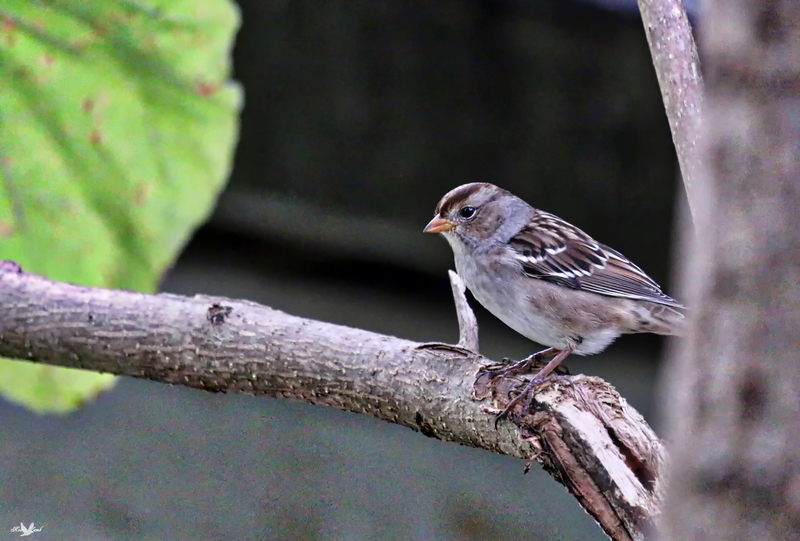 It was filed under Birds and was tagged with Aldergrove, B.C., Backyard, Empress tree, Juvenile, LBJ, Little Brown Job, Sparrow, White-crowned Sparrow. Gotta love those LBJs. Had one stump me this spring. Turns out it was a Chipping Sparrow. Not a new bird for me, just his call was a little off. Robbie, they can be a challenge at times! The first. Time I saw a juvenile White-crowned I was totally stumped!